Home / POLAND 2016 / Veselin Vujović about Slovenian troubles: To play without back shooter is like a suicide! 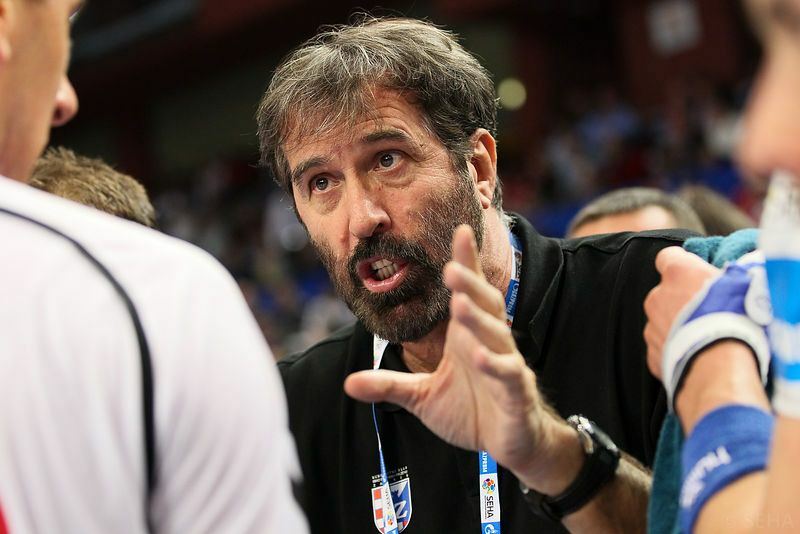 Veselin Vujović about Slovenian troubles: To play without back shooter is like a suicide! Borut Mačkovšek or Klemen Cehte will have to explode if Slovenia want to make something big at Men’s EHF EURO 2016 in Poland. That is a conclusion of NT head-coach Veselin Vujović after two draws against Macedonia 23:23 and 28:28 in Celje and Krško. Shooting skills of Slovenian back-line was always a huge problem to technically very good squad…. -We have serious problem on left back, but that isn’t something new, it is situation from the last few Championships. To play with three short-back player in the line is suicide. We have to find some who is in good form for that position – said Vujović. Slovenia will have two last tests before trip to Poland, against Croatia. Vujovic boys are in very tough group with Spain, Sweden and Germany. ← Previous Story Golden League 2016: France and Denmark win at the start!